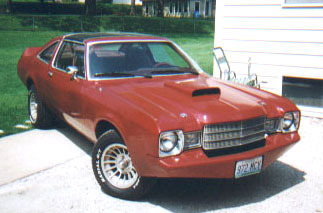  Get rid of ugly front bumpers, tacky side lights, and a flat hood. Design your own and we will make them out of steel.  If you want we will help you in the design of free flowing bumpers with aerodynamic under pan and a functional hood scoop to complement your car's over all design. 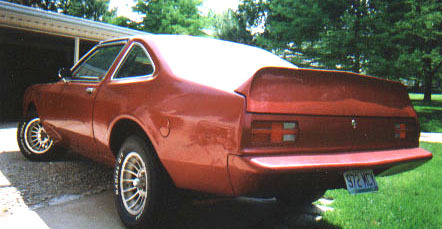  You can have a steel spoiler that matches the factory plastic one or one that just looks factory, but is an inch taller like this one. 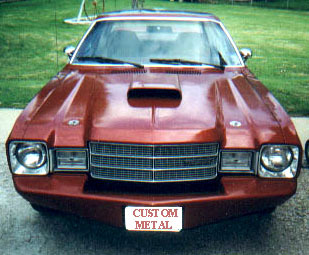 And of course you'll want a custom rear bumper and flush rear side marker lamps, taillights, and even a custom gas cap. 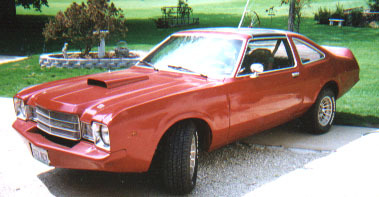  Your 1970s or earlier car can be made to look the way it should have. Just start drawing and make the changes you want. Then come to us for the parts you need to have made.  We have all the equipment needed to make quality metal body parts (English Wheel, etc.) and have the experience necessary to make you happy.